Cereal Systems Initiative for South Asia (CSISA), a project funded by the U.S. Agency for International Development and the Bill & Melinda Gates Foundation, organized a Seed Summit for Enhancing the Seed Supply Chain in Eastern India on 14-15 May in Patna, Bihar. The summit addressed the following problems in the seed supply channel in Eastern India: (1) a significant number of farmers have limited or no access to seed, (2) old varieties in the markets, (3) poor quality and limited availability of seeds, (4) a mismatch between breeding and farmers’ needs, (5) limited extension services, and, (6) existing seed policies that do not provide incentives for seed suppliers and farmers to overcome the listed problems. 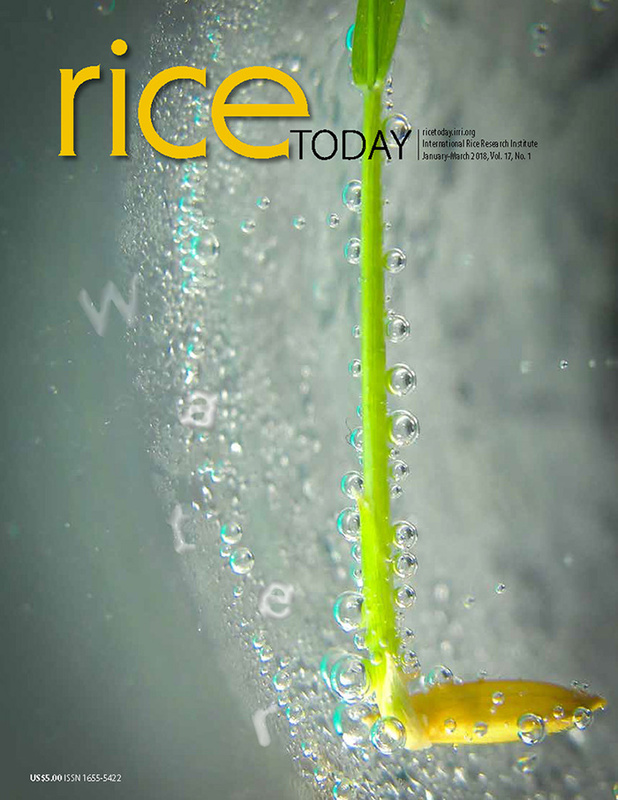 “Some of the concerns that need to be addressed in this sector include why farmers are still buying old, but popular varieties from the markets, how to ensure that more farmers can access seed markets and how to bridge the gap between demand and supply,” said Dr. Takashi Yamano, senior scientist and agricultural economist at the International Rice Research Institute. More than 60 seed experts from the government, research institutions, and the private sector participated in the summit and identified the challenges in the seed value chain. They discussed actionable solutions that will improve the delivery of improved rice and wheat varieties to farmers in eastern India. In recent decades a large number of rice and wheat varieties have been released in India, which have the potential to significantly increase agricultural productivity and reduce rural poverty. However, most small-scale and poor farmers in eastern India do not have access to new generations of modern rice and wheat varieties that can tolerate flooding, resistant to pests and diseases, and produce higher yields. Seed replacement rates in key crops like rice and wheat are also extremely low in eastern India and it can be attributed to many factors. Farmers are not aware of the potential of new varieties; there is a lack of proper seed storage infrastructure to maintain good quality; poor linkages among government, private sector and farmers to provide seeds in a timely manner and lack of a policy environment that will support faster adoption of new varieties. The seed summit was divided into several plenary and group discussion sessions that focused on strengthening the financial capacity and marketing skills of rural seed dealers and input retailers, expanding the role of agricultural extension and advisory services, leveraging civil society—farmers’ associations, community groups and non-governmental organizations—to help promote new varieties and encouraging greater engagement from India’s vibrant private sector in the region’s seed markets. “India is the fifth largest seed market in the world, growing at 12% annually,” said David Spielman, senior research fellow at International Food Policy Research Institute. He underscored the gaps in the policy environment of India’s seed market and how the public and private sectors need to work together for farmers’ benefits. Vilas Tonapi, principal scientist (Seed Science and Technology), Indian Agricultural Research Institute, promoted alternative seed system models—individual farmer as a seed bank, village-based seed banks and self-help group-based small scale seed enterprise—to provide local platforms that farmers can easily access to buy improved seeds. Dr. Tonapi also emphasized the importance of public-private collaborations to make appropriate variety available to the farmers at the right place and time, and in sufficient quantity and good quality. The last session at the summit discussed the priorities for a future action plan in the Indian seed sector, especially in the eastern states. Participants highlighted the role of local seed dealers and the need for workable business models to expand the use of new varieties. Defining which varieties are old and which are not is equally important. Participants also explored strategies to prioritize breeding and enhance varietal turnover. Four main priorities came up at the end of the deliberations and will be critical going forward. The extension system should be restructured and revived. Effective seed subsidy programs should be designed that are based on evidence, are cost-effective, and are better targeted to reach poor farmers. Mechanization of the seed sector should be promoted with introduction of mobile seed treatment units and seed weighing machines. Demonstration of new varieties and new farm technologies should be promoted through both progressive as well as innovative farmers. “Proper infrastructure, local production and sale to ensure timely availability, better extension services and more demonstrations to increase farmers’ awareness will help enhance the seed supply chain in eastern India,” said Sain Dass, president of Indian Maize Development Association.